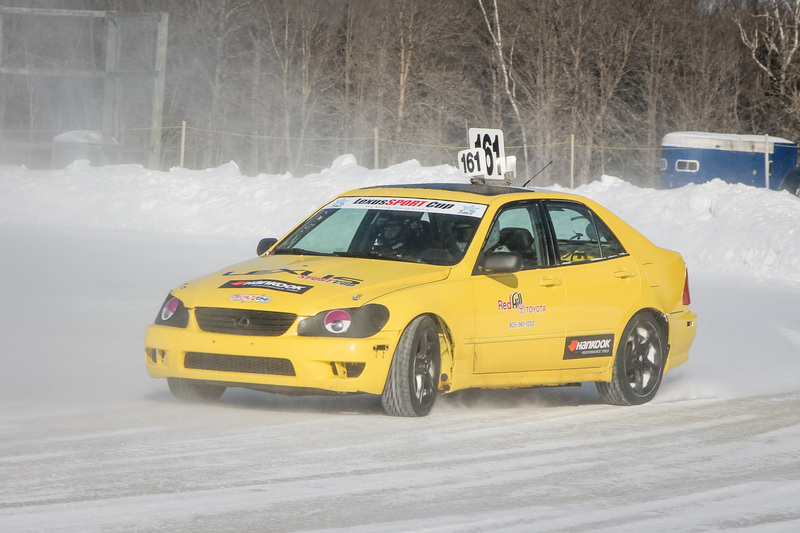 Ice racing is a form of motorsport which tends to be off the radar of most motorsports enthusiasts, largely because, in Canada at least, it usually happens way out in the sticks, away from urban centres. It is a real shame too because it’s quite possibly the most fun variety of racing and is by far the cheapest way to get involved in the sport. 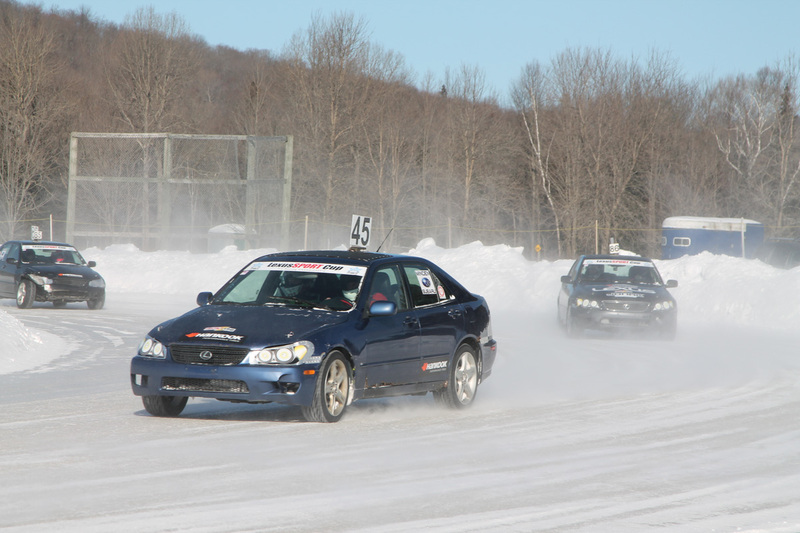 For years, ice racing took place on tracks carved onto the surface of frozen lakes, but since 1977, the cottage country town of Minden has been the hub of Ontario’s ice racing activities, where a track is carefully crafted at the local fairgrounds. My own last visit was 27 years ago and while the racing was fun to watch, the minus 40-degree weather made such an impression that I never went back. Recent developments in grassroots racing here in Ontario meant that I absolutely had to make a return in 2019. 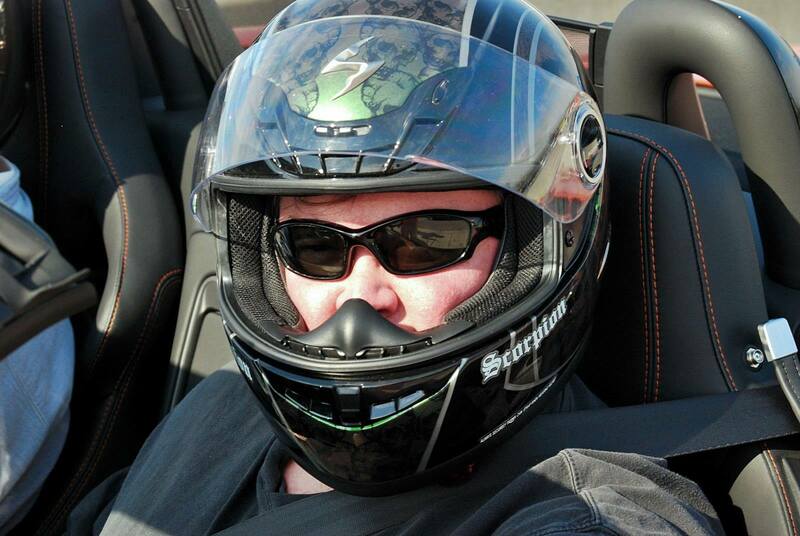 Host of the Two Minute Test Drive on Motoring TV, Russ Bond is known these days for his efforts to educate young drivers with the popular KartStart program. 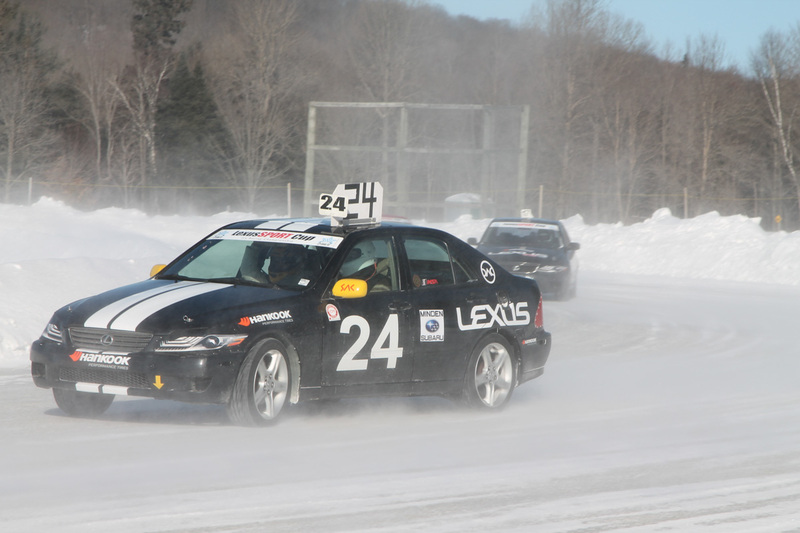 A longtime professional racer, Bond was keen to return to his roots, having ice raced in Quebec ski country as a teenager, so in 2018 he bought a used Lexus IS300 and went racing. Already involved with the Toyota brand, the rear wheel drive IS300 was a natural choice. That car was so much fun and generated so much attention that soon another one was added, which Bond used to introduce a bunch of other racers to the joys of driving on ice. A conversation over the Summer with fellow vintage racers convinced Bond that there were others who would be interested in racing these used Lexi and soon every online ad for a used IS300 garnered a visit from Mister Bond and a trailer. The LexusSPORT Cup was born. 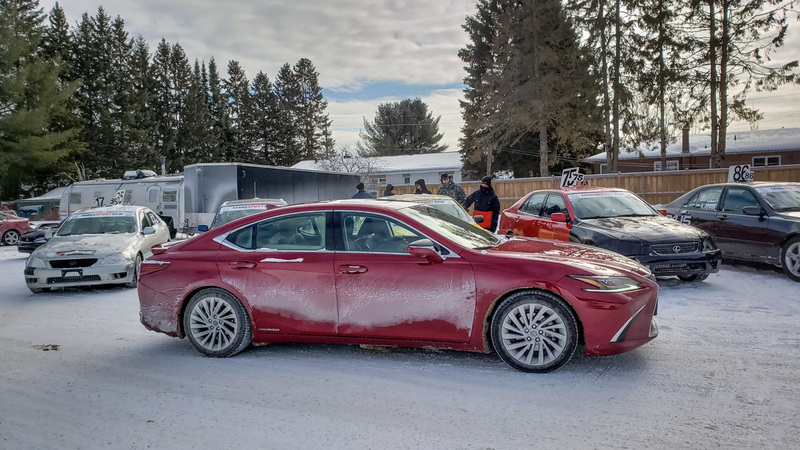 To make the two-hour trek to Minden, we figured we should arrive in the correct style, so we borrowed a 2019 Lexus ES 300H. Looking classy in Matador Red Mica, our tester was also fitted with proper Winter tires. A good thing too, as our drive to Minden, took place the morning after Ontario’s first big snowfall of the year. 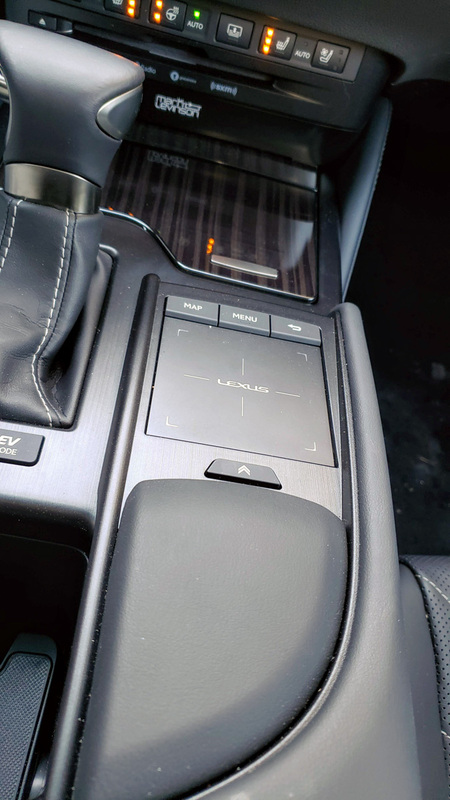 Our tester was fully equipped with the Ultra Luxury package, which includes a broad collection of techno goodies from driving safety aids to the stunning Mark Levinson sound system, but the most welcome feature was the heated steering wheel. A nice complement to the heated front seats when embarking on a road trip at twenty below zero. It is worth noting however that the package does not include seat heaters for rear seat passengers. It was noticed by our rear seat passenger! The first thing one notices when entering the cabin is the gorgeous digital display for infotainment and vehicle functions like climate control. The system is controlled by a remote touch interface which operates sort of like a touch screen, with swipes and touches. 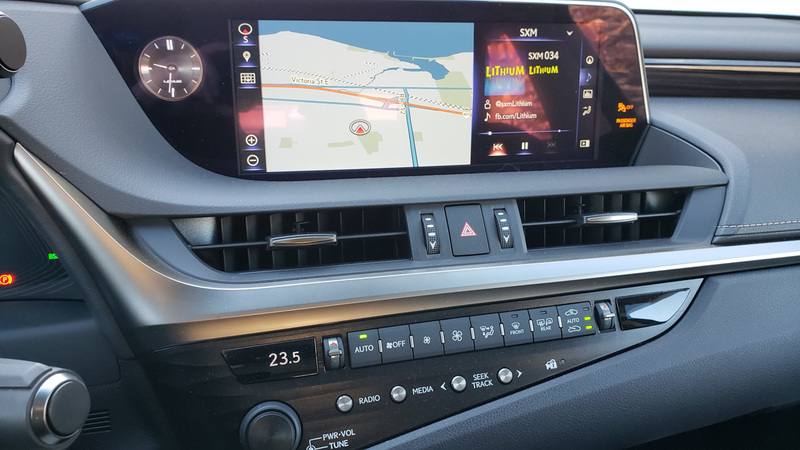 The challenge is that to operate the system effectively, one must really focus on the display, meaning that even simple tasks like changing the radio station are best left until the car is stationary. Fortunately, redundant manual controls in the form of knobs and buttons, along with steering wheel mounted buttons are also included, which make life easier while driving. The large sedan is powered by a 2.5 L four-cylinder gas engine, mated to a hybrid electric system which sends a combined 215 horsepower and 160 lb-ft to the front wheels through a CVT. While Lexus has been building some high-performance fun in recent years, the acceleration experience provided by the ES 300H can best be described as adequate. Also, while the cabin is delightfully quiet, the gas engine is surprisingly noisy on brisk acceleration. One place that many hybrids fall down is a lack of cargo space, as the battery takes up much of the available space. The ES 300H’s trunk is properly massive. 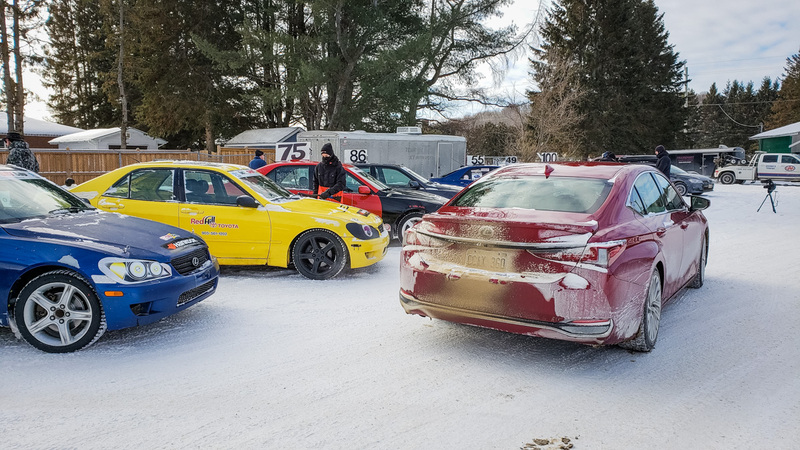 Our drive north to Minden happened before the plows had tended to the highway and with proper Winter boots, the ES handled the changing conditions beautifully, if not with as much vigor as the IS 300s we were headed to watch battle it out on the ice. Auto racing is, by its’ very nature expensive, which means that it is always a challenge to draw new entrants into any particular form of the sport. 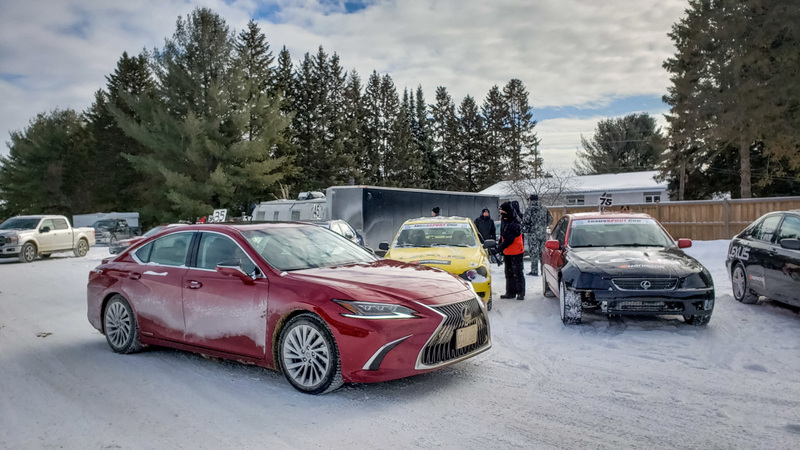 With the creation of the LexusSPORT Cup, Bond has provided a truly affordable, entry-level series, with a focus on fun ahead of everything. 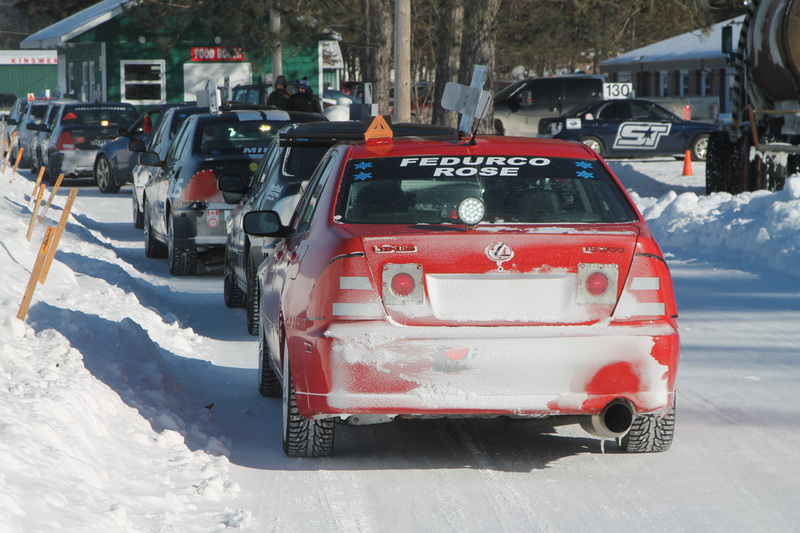 The response from the enthusiast community in Ontario has been nothing short of inspirational. 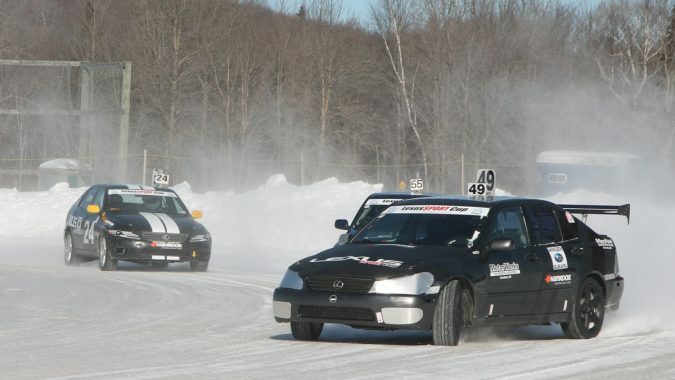 No fewer than fifteen competitors entered on the first weekend, ranging from pavement racing veterans to drifters, kart racers, and absolute newbies. Four entrants were women, ranging from 19 years old to, well, I know better than to ask. The cars themselves are 2001-2005 IS 300s that have been bought, in most cases, for less than $2,500. Some have as many as 400,000 KM on the odometer. They receive a minimal amount of preparation, including the installation of a matching set of Hankook i*Pike RS studdable tires, and are then ready to race. 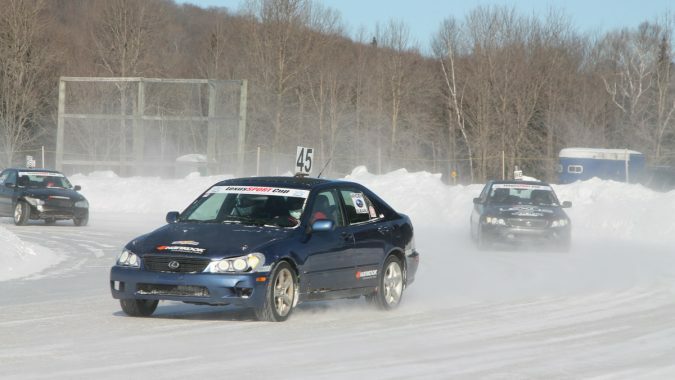 While some competitors have bought and prepared their own cars, the series also has cars available for rent and the price of entry is unheard of. $250 gets you a prepared car, with fuel, for a day. $160 pays your entry fee, plus $10 for a one day licence. That gets you six on-track sessions, including four races. 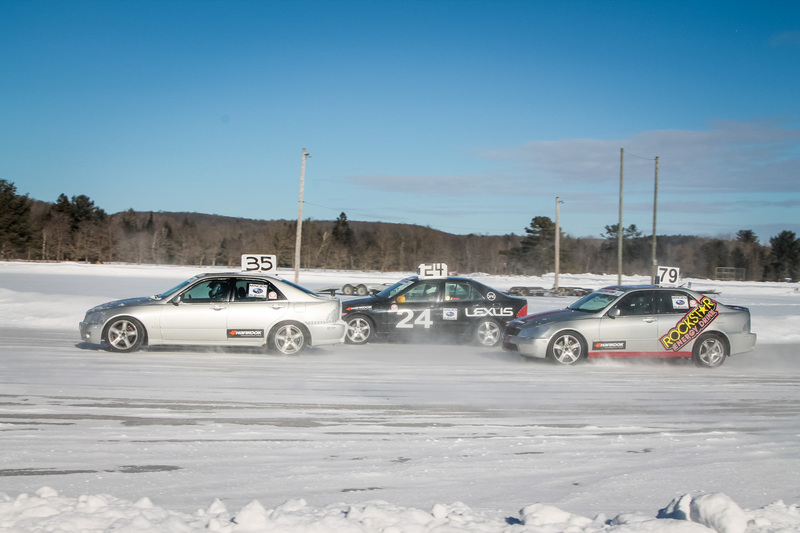 The competition itself is friendly, with most drivers looking to learn while going as fast as possible. 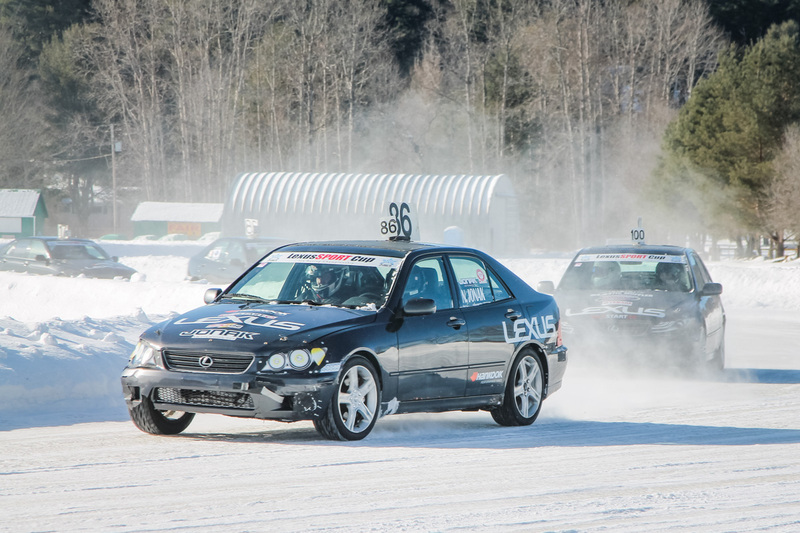 While drivers with ice racing experience move ahead of the pack fairly quickly, the rest of the field remains pretty close, ensuring that everyone gets lots of entertainment as they attempt to drive as fast as possible on a slick and ever-changing track surface. 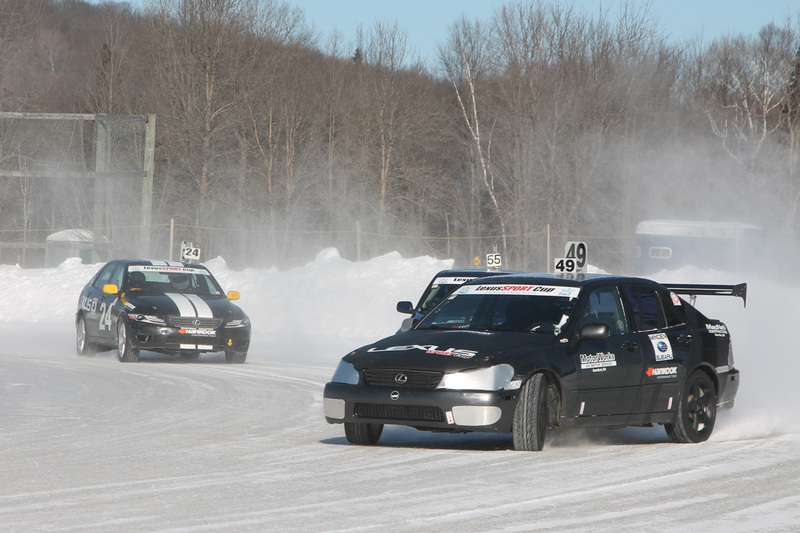 There are five more race weekends between now and February 24, with several rental rides still available. Even better, spectators get into the venue for free and are guaranteed to see lots of great action. We stayed for the first two of four races before succumbing to the face-numbing cold and taking advantage of the warmth offered by the ES. After a quick stop at the local Timmies for a hot beverage, we headed south on Highway 35. Obviously, the very nature of a hybrid version of a luxo-cruiser like the ES 300, sacrifices high performance in favour of fuel economy and the big Lexus shines here. Even during the coldest week of the year, with seat and steering wheel heaters on full time, we averaged 6.4 L/100 KM in combined city/highway driving. 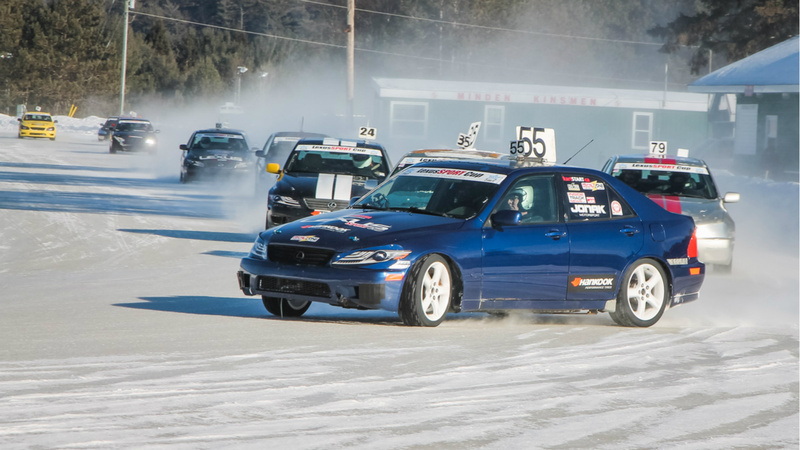 The reliability and continued robustness of the thirteen plus-year-old IS 300 make it the perfect candidate for enthusiast activities like ice racing. It isn’t too much of a stretch to envision the ES 300H still delivering comfortable economy in 2032.